The Latin Songwriters Hall of Fame has revealed which five songwriters will be inducted at the prestigious hall this year, with the 50-year-old Mexican singer/songwriter making the grade. Trevi joins a roster that includes previous inductees, including last year’s Erika Ender, Carlos Vives and Ana Gabriel, to name a few. Besides having a rebellious and over-the-top personality onstage, Trevi is also known as a songwriter and philanthropist. In her nearly three-decade music career, she’s penned more than 400 songs and released 13 albums, four of which reached No. 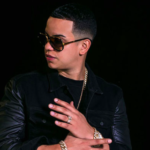 1 on Billboard’s Top Latin Albums chart: Gloria in 2011, El Amor in 2015, Immortal in 2016 and Versus in 2017. Joining Trevi is Chucho Valdés. As a pianist, composer and arranger, the 76-year-old Cuban artist become one of the most influential figures in modern Afro-Cuban jazz. He’s a winner of six Grammys and three Latin Grammys. On November 27, 2010, Chucho peaked at No. 8 on the Latin Pop Albumschart thanks to his collaboration with Buika on her album El Ultimo Trago. 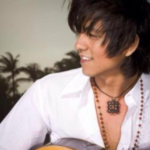 Ecuadorian singer and songwriter Carlos Rubira Infante has also made the list. He’s known for bringing to the forefront the country’s national music style, pasillo and pasacalle music. At 96 years old, he was awarded the National Prize in Art“Premio Eugenio Espejo” in 2008 from the president of Ecuador and has penned more than 400 songs. Born in Colombia but raised in Venezuela, this singer-songwriter is the man behind some of the most unforgettable Latin songs. His first international success was with “Solo con un Beso,” a song he wrote for Ricardo Montaner in 1988, peaking at No. 7 on the Hot Latin Songs chart. Osorio nabbed the Latin Grammy for best tropical song in 2004 for composing Celia Cruz‘s “Rie y Llora” before her death. And last but not least… KC Porter will be honored. For the past six years, the Latin Songwriters Hall of Fame, founded by Desmond Child and Rudy Pérez, has honored the world’s greatest Latin music creators and their memorable songs. The 2018 honorees will be officially inducted at the sixth annual La Musa Awards ceremony and gala, taking place October 18 at the James L. Knight Center in Miami.